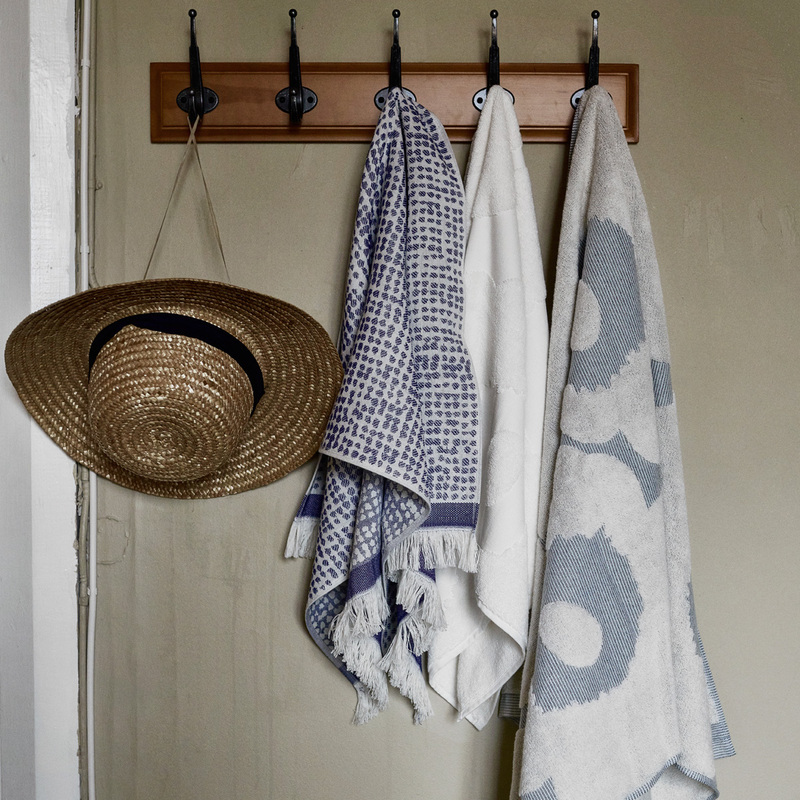 More about Marimekko Turkish Towels Also called Hammam towels, Turkish towels are much lighter in weight and faster drying than standard bath towels but even more absorbent and durable. 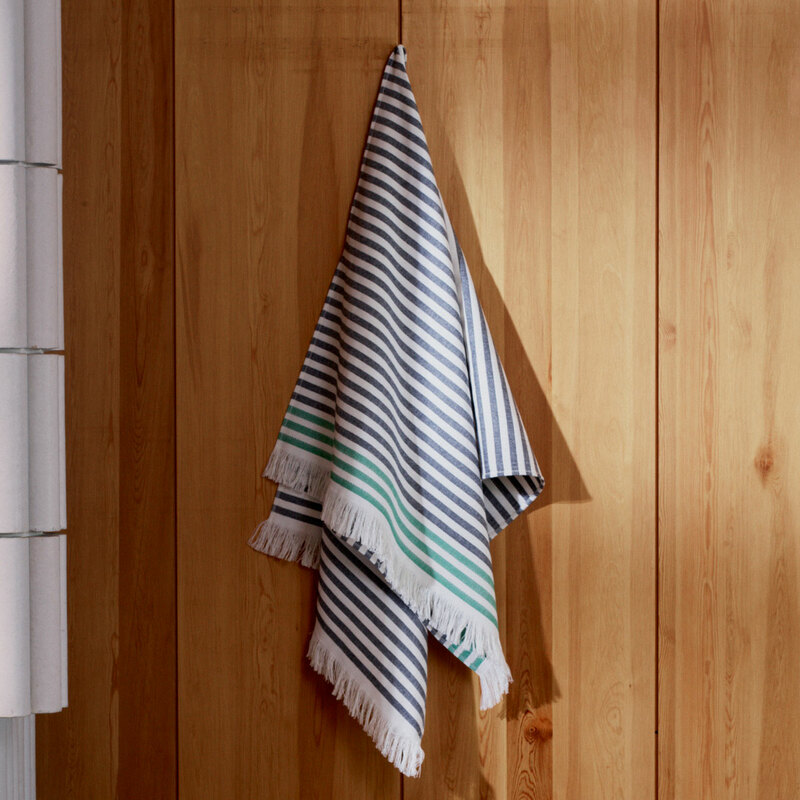 Weighing only a third of what typical terry towels would, they are easy to store and transport. 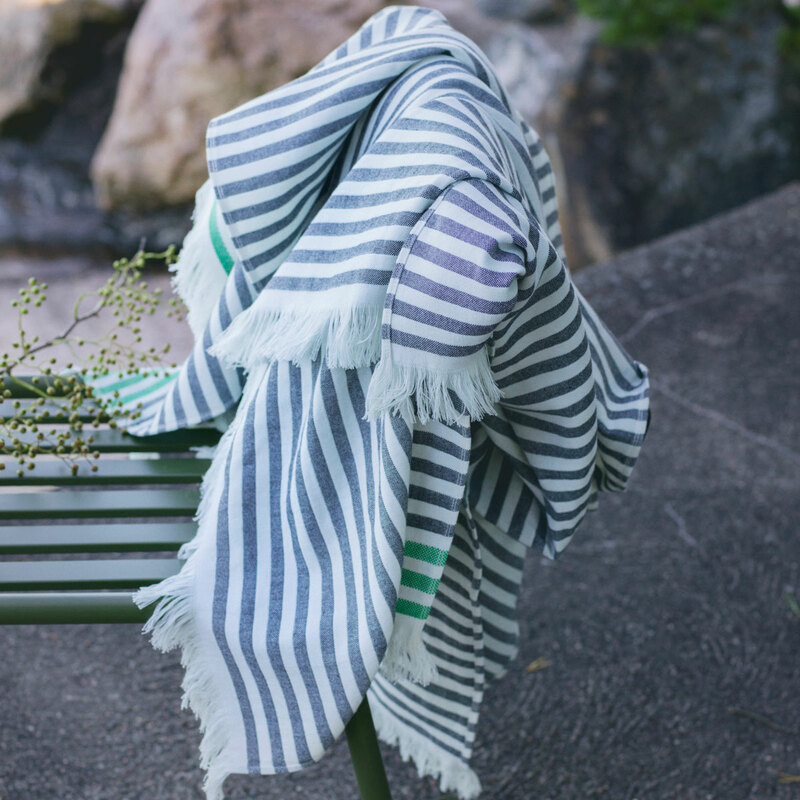 This makes them great for taking to the pool, beach, gym, or even a picnic. 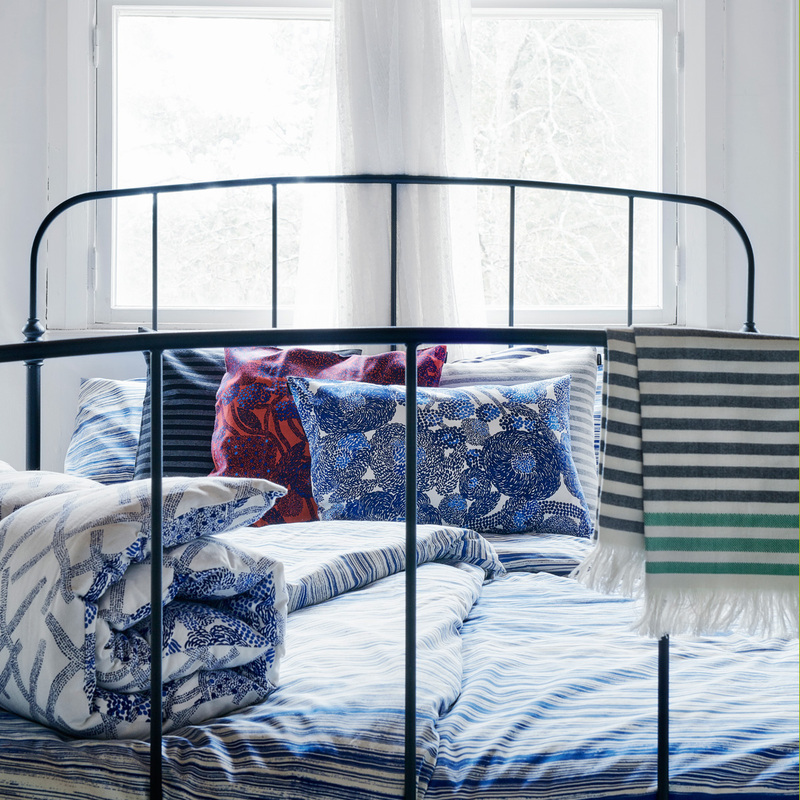 The beautiful, fringed textile art can also be used as tablecloths, yoga mat covers, summer blankets or scarves. The flat weave, as opposed to the conventional loop/pile construction, also makes them less likely to trap allergens. 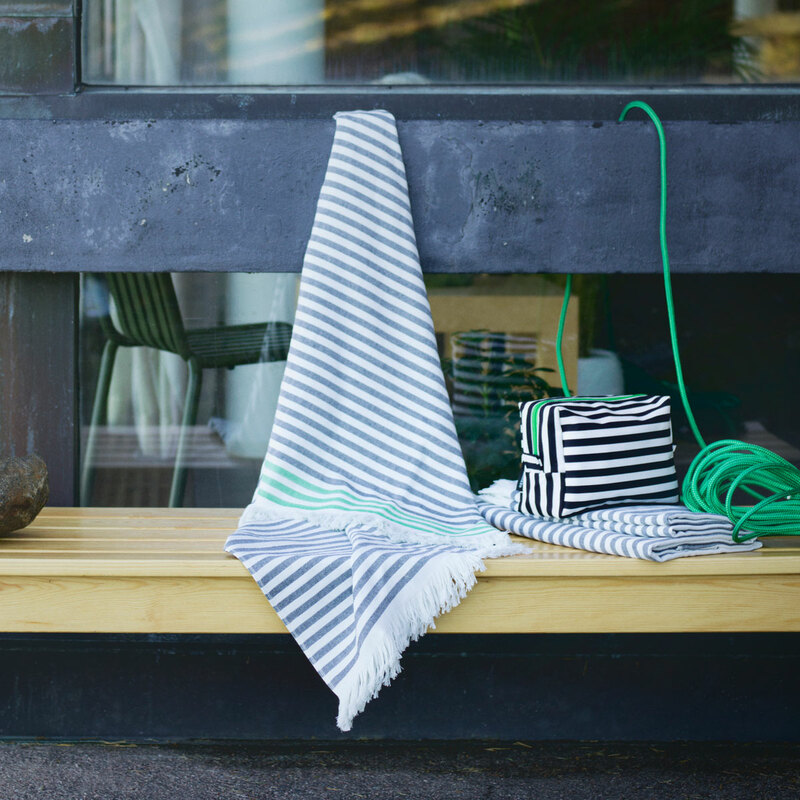 The 100% cotton is machine washable, and it will only become softer with each wash. Some of these Turkish towels celebrate the 50 year anniversary of Annika Rimala’s Tasaraita (Even Stripe) pattern. The pattern was first featured on unisex shirts, and half a century later, still serves as a symbol of equality for the Finnish brand Marimekko. Their neutral colorway of cream and black is contrasted by a pop of green, perfect for welcoming the lush life that will soon spring up. The others feature Carina Seth Andersson's Orkanen (Hurricane) pattern, which depicts the disorder such storms cause with a sea of blue dots. Loved the bath towels so much that I came back for the hand towel. Light but very absorbent, perfect for summer. ConsWould've liked more color selections even though I'm very happy with the gray/green. The photos show blue striping as an option but it isn't available here.